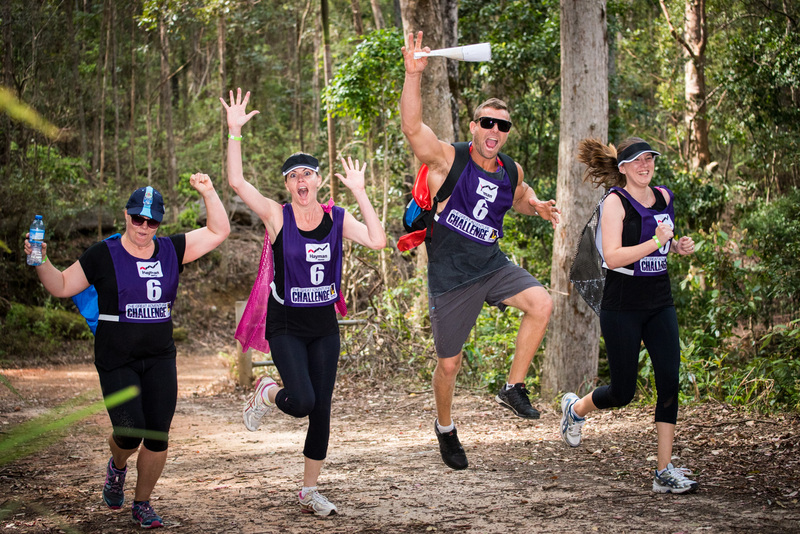 The 2016 Great Adventure Challenge continued on Saturday 8th October in Queensland, with 9 teams racing it out in the beautiful South D’Aguilar National Park. 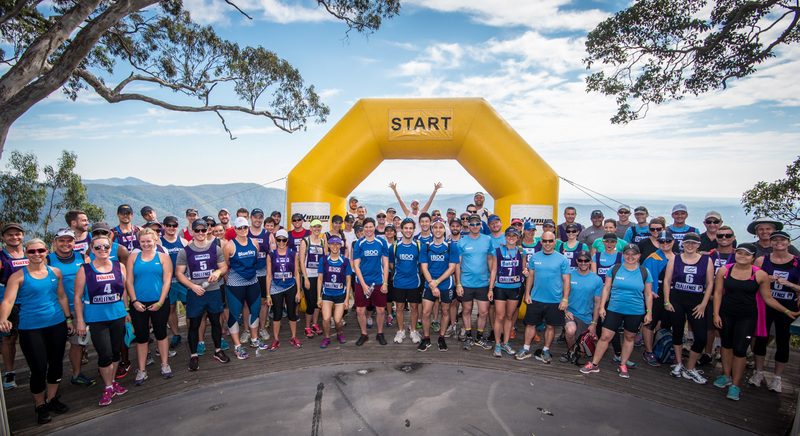 Starting bright and early with an incredible view at Jolly’s Lookout, teams from BDO, Foxtel, Tatts Group, Data #3, Blue Sky, Hayman Homes, Oracle Business Accountants and PwC participated in a fun team challenge where they had to flip a tarpaulin without anyone getting off the tarp! This quick and easy challenge set the tone for the rest of the day – fun, fast and fearless! Once the tarp was flipped, the first of the Challengers raced off down the hill on the first running leg. A few kilometres down the hill, they were met by their support crews to change into the first mountain bike leg. The mountain bikes literally went downhill fast. Winding their way through the fire trails of the national park, the teams were faced with slippery terrain and some challenging turns. After another running leg, the day was really heating up. Teams arrived at the Enoggera Reservoir, where they cooled off kayaking to multiple checkpoint locations around the dam. While half of the teams were on the water, the other half got wet with a second team challenge, consisting of filling a leaking pipe with water in order to rescue a ping pong ball. Teams had to communicate well and work together to stop the pipe leaking and achieve the task! 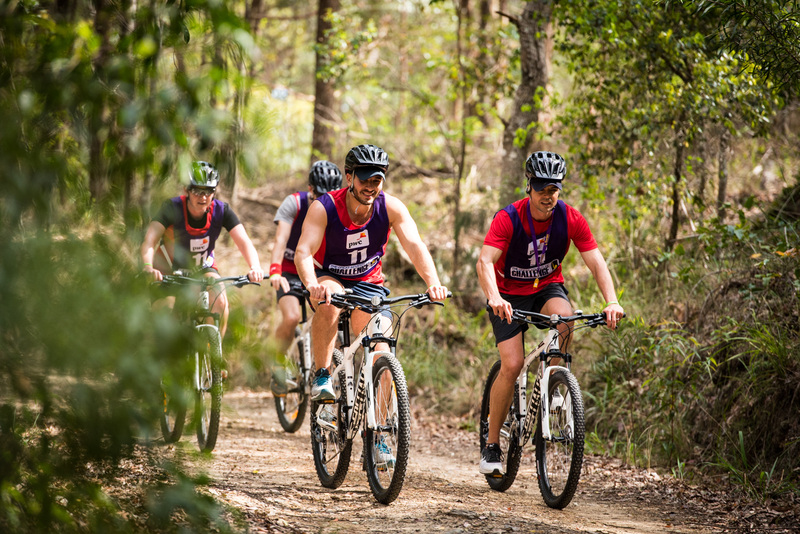 A second mountain biking leg followed the kayaking, with an option bonus run at the end for the keen teams! Everyone concluded the race with a final kayak before racing to the finish line on foot. PwC were the first to cross the line, but the overall Winners of the day were four-time Challenge participants BDO Corporate Finance! Having achieved their $10,000 fundraising target, BDO were also successful in working as a team to train and get through the day, even carrying one injured team member over the finish line! Highest Fundraisers went to Foxtel (The Foxterminators) for having raised $10,642, and also placing second overall for the day. Third place went to newcomers Data #3, followed in turn by Blue Sky, PwC, Oracle (Oracle Omens), Tatts Group 2 (The Sole Survivors), Tatts Group 1 (The Great Tattsventure) and your friendly neighbourhood superheroes at Hayman Homes (Hayman’s Heroes). Special thanks to all the wonderful fundraisers and volunteers who gave their own time and resources to make the day a success!